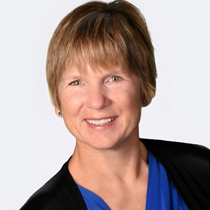 Pam Lucey is an accomplished Human Resources (HR) practitioner bringing twenty plus years of experience to her role as an HR Consultant. Pam leverages her experience in financial services and manufacturing industries to develop and deliver solutions for effective business outcomes. A collaborative and pragmatic leader, Pam is able to work cross-functionally and to communicate with all levels and backgrounds of employees and management to meet objectives and deadlines. Prior to joining ConnectedHR, Pam worked for the Federal Reserve Bank of Cleveland as their Human Resources Manager with responsibility for Talent Acquisition. Earlier in her career she worked for LTV Steel Corporation as their Human Resources Manager supporting operating and corporate divisions. Pam holds a Master’s degree in Labor Relations and Human Resources from Cleveland State University along with a Bachelor’s degree from Baldwin Wallace University. Additionally, she has a Senior Professional Human Resources Certification (SPHR). Pam is proud to serve as a member of the Board of Directors for the Nueva Luz Urban Resource Center located in Cleveland. She enjoys spending her free time with her husband and son.